OK, so we all know by now that taking care of the gut is important. And fermented foods are an easy way to do that. Need some inspiration? 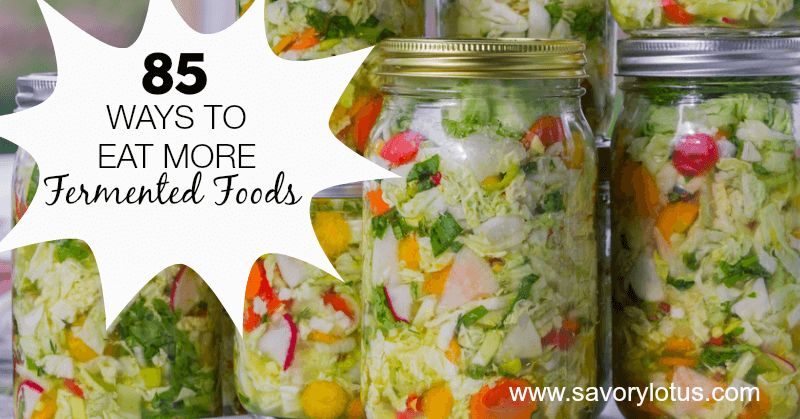 Here’s 85 easy ways to eat more fermented foods. Did you know that almost 80% of your immune system stems form the gut? Yeah, that’s a lot. So what kind of shape do you think your immune system is in if your gut health is in the toilet? I’ve said it many times, and I will say it many times again: Good health starts in the gut. What we are talking about here are REAL fermented foods that are lacto-fermented, meaning that the starches and sugars in vegetables and fruits are converted into lactic acid by the many species of lactic-acid-producing bacteria present on the surface of all living things. Lactic acid is a natural preservative that inhibits putrefying bacteria. All you do is add SALT. Bacteria that could be harmful to us can’t tolerate much salt, but there are healthy bacteria that can. Lacto-fermentation wipes out the bad guys , then lets the good guys get to work . The product is a living food, full of enzymes and probiotics. To learn more about fermentation basics, be sure to check out Fermented Foods 101 and 9 Tips for Successful Fermentation. I have found that the best ferments come from a completely air-tight system. And the best one that I have found comes from Pickl-It.com. They have a wide variety of sizes to choose from. I have the large 5 Liter jar for making sauerkraut. I also have several 1 Liter jars for making smaller condiments and for storing my krauts in the fridge. They are easy to use, completely air-tight, and come fitted with an airlock. The airlocks allow for the CO2 created by the fermentation to be released but keeps oxygen out. This keeps the lactic-acid bacteria happy and healthy. 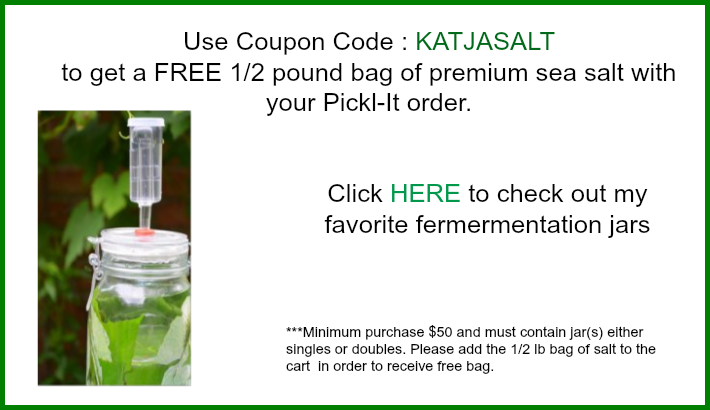 Use Coupon Code: KATJASALT to get a FREE 1/2 pound bag of premium sea salt with your Pickl-It order. ***Minimum purchase $50 and must contain jar(s) either singles or doubles. Please add the 1/2 lb bag of salt to the cart in order to receive free bag. Benefits of Fermented Foods from Oh Lardy! 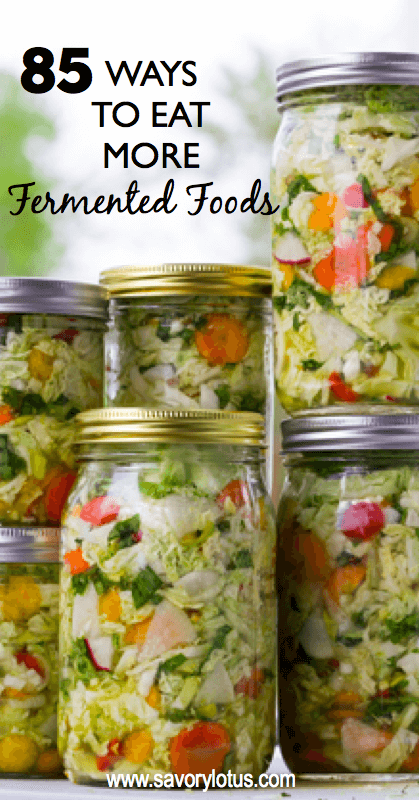 Do you have a favorite fermented food recipe? I would love to hear about it in the comments! What an amazing list! Thanks so much for including my kombucha series. You’ve inspired me to branch out and try something new. I totally loved your kombucha ideas. I’m so glad to have found them here because they quickly became my favorite. I make the strawberry kombucha the most and drink them from time to time. Wow! Amazing list. Which recipe is the picture of? I’d like to start with that one, it looks delish. Hi, Lyndy! The image is not one of the recipes. It’s just an old picture of ferments. But there are some real treasures in this list. Thanks for coming by! Did you make a fermented salad using lettuce? Can anyone tell me which recipe corresponds with the photo attached to this pin? It looks like Napa cabbage and radishes and carrots. Very colorful but I can’t find which recipe it is. Thanks!! Could you tell me what is the fermented salad in the picture, the one with cabbage, radish, carrots and other things. I could not find recipe for this one lol. I’m Polish so I grew up on fermented cabbage, cucumbers and other things. My american husband loves the fermented wheat and rye soups as well as sour pickle soup but he just does not want to know how I make it lol. Hi! This is a generic fermented veggie photo that I use. The recipe is not in the post. You could do copy it by using one of the recipes in the post. It’s napa cabbage, carrots, radishes, and red peppers. Thank you so much for your response, I will just toss all the ingredients together as you suggested. It sure looks delicious! Oh my goodness. I love this list and I feel like a kid in a candy store. Thank you so much for preparing such an extensive list. I prepare my own kombucha and kefir. I’ve got to try these! I was wondering why rejuvelac in not included with all these wonderful items. Hi, Rita! 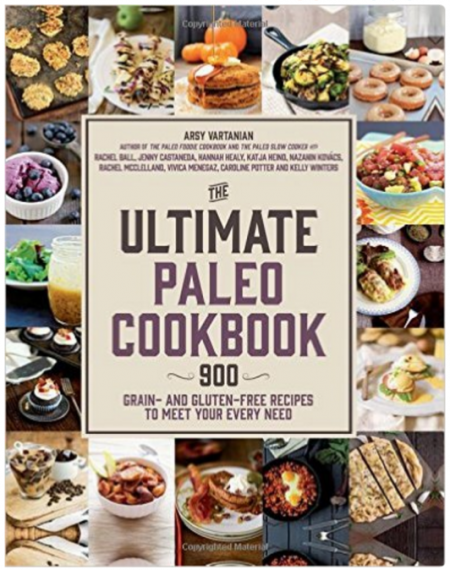 My blog is grain free so I don not include recipes made from grains. 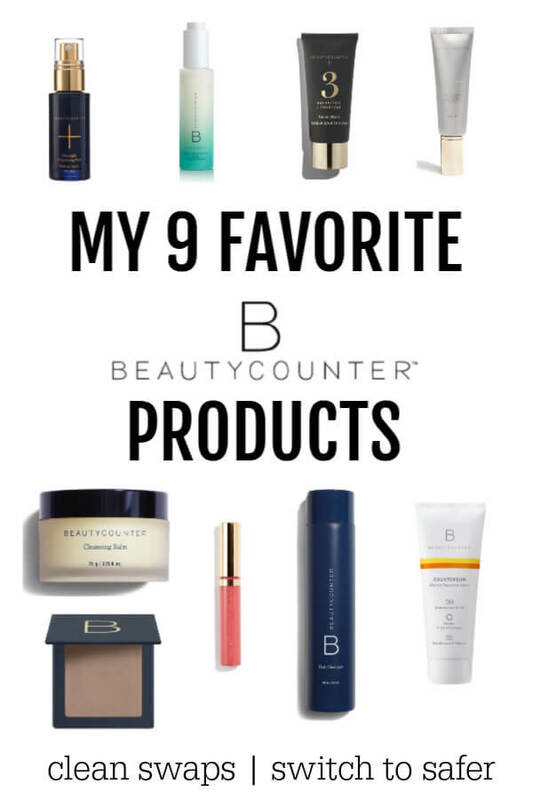 I was wondering why rejuvelac was not included in this list of items? Hi, Rita! I follow a grain free diet so i do not include things that are made with or from grains. 🙂 Thanks so much for coming by! I am currently fermenting 42.5 pounds of cabbage for kraut! I use this “recipe” http://www.inthekitchenwithjenny.com/2013/03/homemade-sauerkraut.html . I have also recently acquires a scoby and we’ve been making kombucha since January. Cranberry is a fav flavor. What a great list! Can’t wait to use these resources. One question: I’m a microbiologist’s daughter, therefore the first thing that comes to mind is clostridium botulinum… Do you pressure cook after fermenting to kill botulism spores? Perhaps there’s another method? How does one know if these foods or drinks contain probiotics; I have trouble understanding this. I would like to start fermenting asap and this one question is always on my mind. Hi, I would like to know about the consumption of the fermented food, do you cook the food or consume straight out of the jar, what meats if liked are preferred / suggested to go with the fermented vegetables, is fermented food more a summer meal, hope this is not a weird question.